Ideal for a family holiday, the family room consists of two interconnecting rooms, each of them with 2 twin beds or a double bed. This family room will offer you a spacious place to spend a pleasant stay in our hotel. Please specify the configuration of the room on request, at the time of booking. The three-star boutique Paris Louvre Opéra hotel enjoys a prime location in the 1st arrondissement, right in the historic heart of Paris. This former 17th-century town house, located on a quiet street in the prestigious Opéra and Palais Royal district, just a stone's throw from the Louvre, reflects with elegant simplicity the French art de vivre and the history of a unique building, inspired by the memory of the great painter Toulouse-Lautrec. 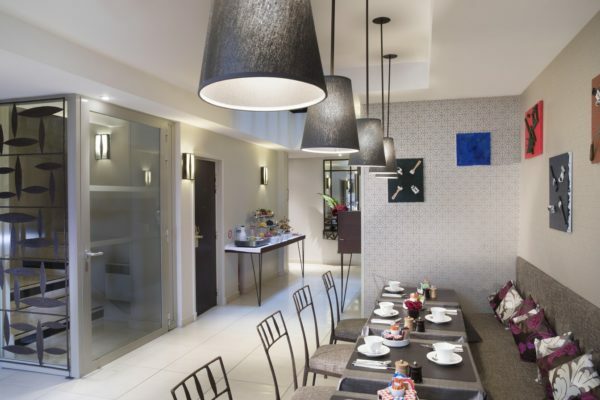 Book your stay in the heart of Paris on our website and get the best rates and special offers.